Henry Ponsonby Racing is involved with some of the country’s leading racehorse trainers including, Nicky Henderson, Alan King, Richard Hannon, Tim Easterby, Eve Johnson Houghton and Richard Hughes. Other leading associated trainers include Michael Bell, Paul Cole, Philip Hobbs, Kim Bailey, Mick Channon and Brian Meehan. The cost of owning and training a thoroughbred has always been expensive. However, owning a racehorse in an exclusive syndicate/partnership of up to 12 people only, enables you to share the costs and still experience the enjoyment and indescribable thrill of seeing your horse past the post first. We pioneered syndicates in the mid 1970’s and have been fortunate enough to experience hundreds of winners. Horses such as First Mohican and Tiger Cliff gave our owners a marvellous winning association with the legendary late Sir Henry Cecil. 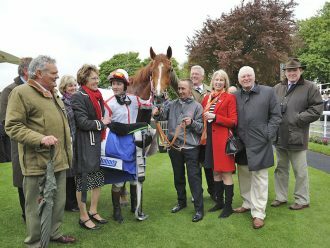 Other special victories include Oregon Trail winning the prestigious Grade 1 Arkle Chase at Cheltenham’s National Hunt Festival, Affair of State, winner of over £240,000 in the Tattersalls Breeders Stakes at the Curragh, and the exploits of Gatwick, winning three Heritage Handicaps in 2004 and representing us in the Derby. Nicky Henderson and Alan King are in charge of our National Hunt team and well known winners in recent years include such stars as Captain Miller, Scots Grey, Kings Bayonet, Red Flare, Seventh Cavalry, Spring Dream, The Betchworth Kid, General Miller, Fleet Street, Sir Jimmy Shand, First Mohican, Lieutenant Miller. Some of our owners are still with us from the early days and many of them will tell you that winning a small race at Plumpton or Warwick (sometimes watching from your own hospitality Box) is also something out on its own and it is not just about winning at the big meetings. I recommend owners to come and see the horses. Viewing can be arranged immediately by contacting myself, Henry Ponsonby, on the number below.